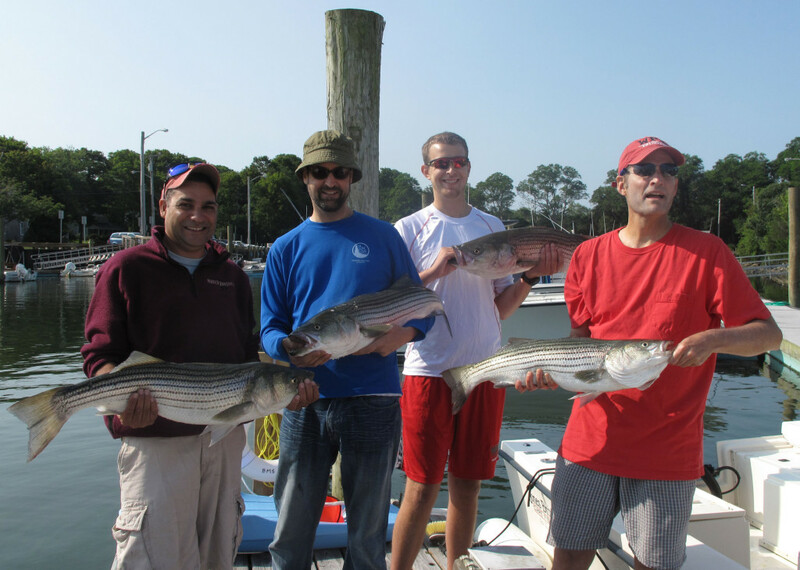 Sight-fish for striped bass across sandy flats or stalk them as they feed along crag­gy shore­lines. 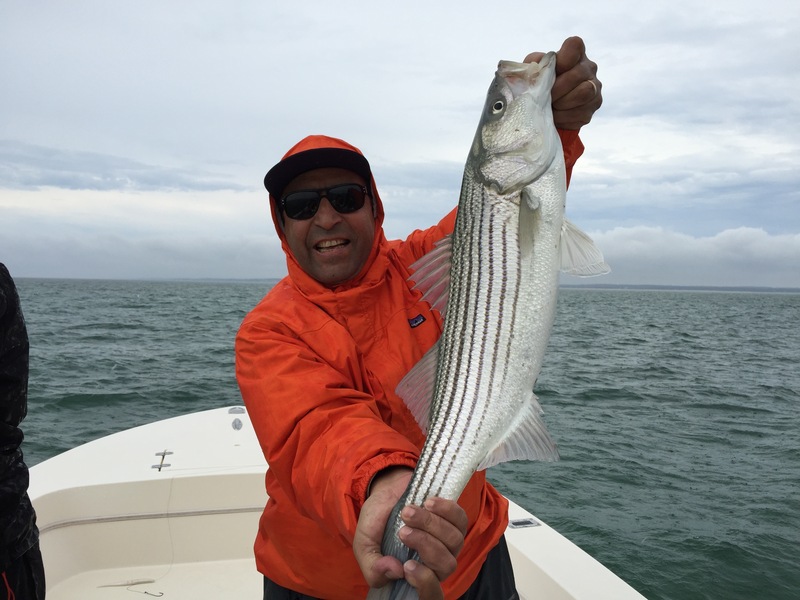 Chase high fly­ing terns across the bay to locate and cast at pods of hun­gry striped bass and feisty blue­fish. 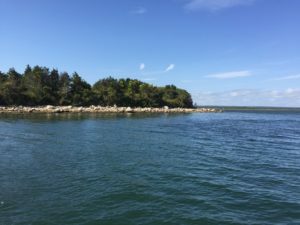 Salty Fly’s guid­ed fish­ing trips depart from Cape Cod’s Barn­sta­ble Mari­na; home of the Mat­ta­keese Wharf Restau­rant and the Hyan­nis Whale Watch­er Cruis­es. 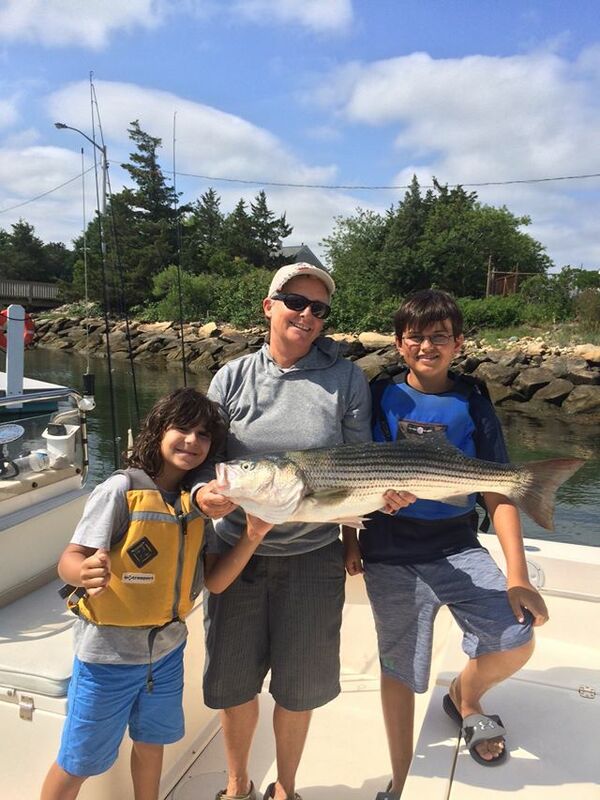 Pack a sand­wich, your favorite fish­ing hat, and your polar­ized sun­glass­es for a morn­ing (or after­noon) of fish­ing. Capt’n Avery’s com­fort­able and “well-appoint­ed” 20′ Jones Broth­ers 1910 cen­ter con­sole with its qui­et 150HP 4-stroke Yama­ha engine pro­vides a com­fort­able fish­ing plat­form for up to 3 anglers. 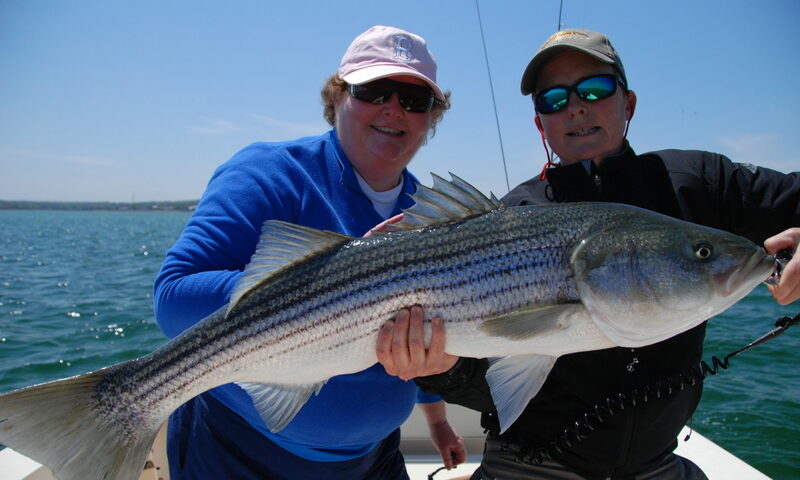 Enjoy a per­son­al­ized angling adven­ture and dis­cov­er the secrets of Barn­sta­ble Har­bor, one of the best striped bass fish­ing des­ti­na­tions in the world. Salty Fly Char­ters sup­plies all the gear, fish­ing tips, local knowl­edge and a friend­ly atmos­phere for you to have a great day on the water. 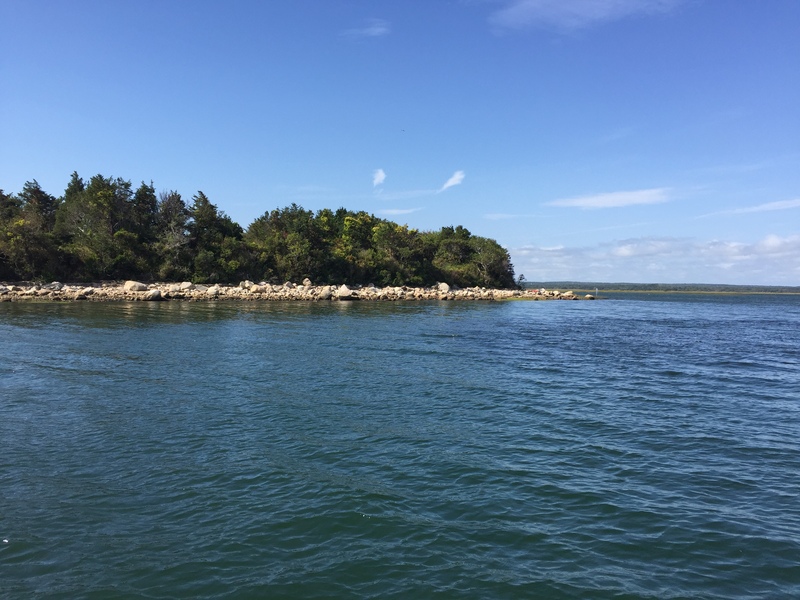 If fish­ing isn’t your thing, book a Har­bor or Bird­ing Tour with Capt’n Avery and see close up the famous Sandy Neck Light­house, and the flo­ra & fau­na that make Barn­sta­ble Har­bor such a spe­cial place. You were great! We all had a blast and thank you for pro­vid­ing mem­o­ries for a life­time. From start to fin­ish you were solid…and the fish did their part. Just spec­tac­u­lar.